Removal of an eye is known as enucleation and is generally carried out when a patient has suffered a severe trauma, particularly where the eyeball or globe has been ruptured and it’s unlikely that sight will be recovered. There may also be concerns about a rare condition called sympathetic ophthalmia, where the good eye becomes inflamed after the affected eye is damaged. In some cases, enucleation is recommended if a large eye cancer cannot be removed or destroyed, or where treating the cancer leaves the patient with little or no sight and a permanently painful eye. Removing the contents of an eye only, which leaves the outer coating of the eye attached to eye socket muscles, is called evisceration. Implants are used to replace either the entire eye or to fill an eviscerated eye. Implants are usually made of a solid material, such as polymethylmethacrylate (PMMA), which is a type of acrylic plastic — Perspex is made from a type of PMMA. When an implant is fitted into the socket, the eyeball muscles and soft tissues surround it. 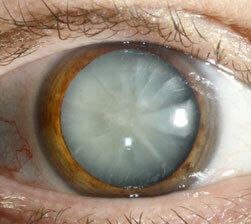 After healing, a prosthetic or artificial eye, which looks like a big contact lens, is placed over the implant. When the muscles move the implant, the artificial eye moves too. Nowadays, non-integrated implants are wrapped in a mesh, to which the muscles are attached, reducing the risks of drifting or rejection (known as extrusion or being pushed out of the socket). Sometimes the implant can become exposed because of a breach of the lining of the sock (the conjunctiva) and if so, will require further surgery, ranging from a patch graft or even temporary removal. They can be used to replace other forms of implant, at enucleation or afterwards. The tissues in the socket tend to shrink over time. This is rectified by using larger artificial eyes but these can give the wearer less eye movement and lead to drooping of the eyelids, or ptosis. 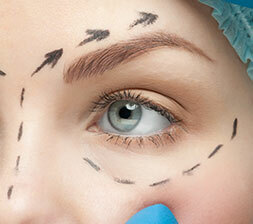 As a result a few — less than ten percent — of patients ask for additional surgery to improve the look of their eye. An orbital implant is placed in the orbital cavity when the eye is removed and the tissues are closed over the implant. A temporary plastic disc (a clear conformer) is fitted on top of the implant for a month after surgery to prevent the socket shrinking. Two months or more later, the patient sees an ocularist, also known as a prosthetist, who will create a detailed artificial eye or prosthesis that matches the natural eye. For the initial operation, patients are normally admitted on the day of surgery and discharged the next. Most people experience some pain for a day or two, though about ten per cent of patients find that pain lasts for a few days and is quite severe — standard painkillers are usually sufficient but stronger ones can be prescribed. If a patient is in a lot of pain or, in rare cases, is sick, a second night in hospital may be advised. 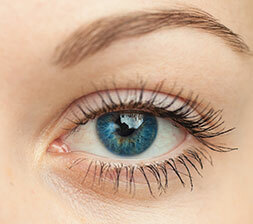 Eye movement may cause most of the pain, so discomfort can be avoided by moving the head rather than the eye. You’ll wear a pressure dressing for a day to reduce bruising and swelling. Tell family and friends, including children, that you will be wearing a head bandage and that your eyelids may be quite bruised when it’s removed. You can remove your own dressing to save a visit to the hospital and will be given written instructions on aftercare. Most people do not return to work for at least a week. If you work in an unclean environment, it is wise to stay off work for longer. You can camouflage the eye with dark glasses or tape stuck over the lens of a pair of ordinary glasses. A temporary eye pad may be used but should not be worn continuously. Your upper lid will initially be droopy but will begin to rise within a few weeks. It takes at least eight weeks for the socket to heal fully and may take longer — only then can the prosthetist measure for the fitting of the artificial eye. The prosthetist can also make a wax template for the surgeon to use to mark the correct position for a peg, if that is to be used. You should have an annual check-up with your prosthetist, to assess any small fitting changes and polish your artificial eye to remove deposits and any scratches. Your prosthesis will usually need to be replaced every two to five years, as your body is constantly changing, but this varies considerably from patient to patient.